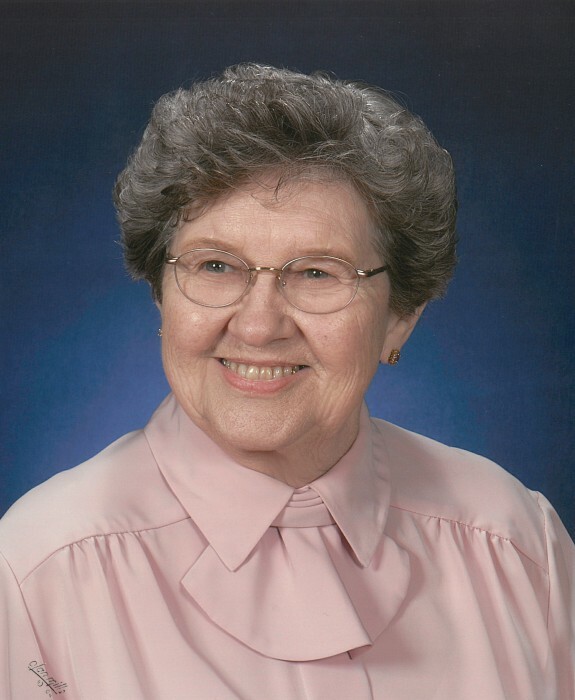 Alice Marie, age 92, of Deming a beloved child of God, was born in to this world July 5, 1926. Alice was one of nine children born to Oscar Albert and Lula (Benson) Sorensen. The family lived in St. James, Minnesota. When Alice was 19 years old, she and a friend decided to travel to Seattle, WA. There she started attending Gethsemane Lutheran Church and met Calvin Johnson. This sparked a lifelong romance. Alice and Calvin were married August 20, 1949 in Seattle, WA. She often mentioned that this was the "best day of her life." They lived in Tacoma, Forks, and then settled in Deming, WA. Cal and Alice had three children: Nancy, Gary, and Joanie. Alice worked at Western Washington University in the Registrar’s office for many years. She was a long time member of Immanuel Lutheran Church. She spent countless hours volunteering at the Deming Library, the Foothills Foodbank, and through the prayer ministry at Immanuel. Alice was a delight! She was known for her strong faith, her love of family & friends, and her hilarious sense of humor. She could make even the most mundane moment fun. Alice was preceded in death by her husband, Calvin T. Johnson, her parents, two brothers, and three sisters. She is survived by her daughter, Nancy Workman (Dennis), her son, Gary Johnson (Selina), and her daughter, Joanie Hirt (Ernie); her granddaughter, Tara Hayward (Brad), granddaughter, Kimberlee Smith (Tony), grandson, Ken Workman (Leah), granddaughter Callie Johnson (Hajime), and grandson, Nathan Johnson. She is also survived by 9 great grandchildren, 1 sister, and 2 brothers. A graveside service will be held Monday, Feb. 11, 2019, 11:00 AM at Immanuel Lutheran Cemetery in Everson followed by a 1:00 PM, Memorial service at Immanuel Lutheran Church, 5782 Lawrence Road, Everson, WA 98247 with Pastor Leslie Mahraun officiating. Alice's family would like to thank the Hospice care team for their attentive and loving care of Alice during the past few weeks. We would also like to thank the many friends and family members who visited and prayed for her. Memorials in Alice's name may be sent to Whatcom Hospice, Immanuel Lutheran Church, and the Mt. Baker Scholarship Fund.